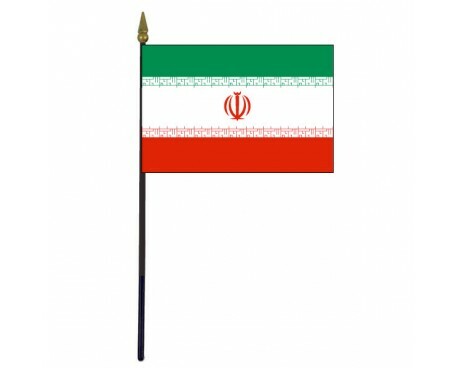 The Iran flag is a representation of the nation's religious and political history. 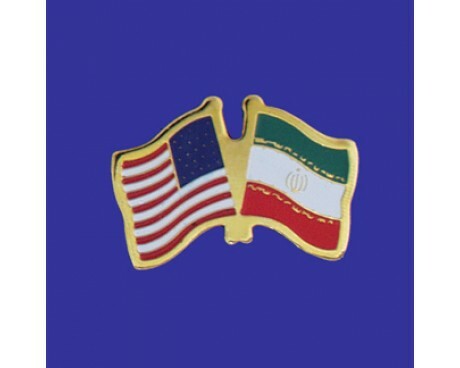 It is far from the first Iran flag, and it follows in the footsteps of many historical flags that exhibited a wide variety of design features. 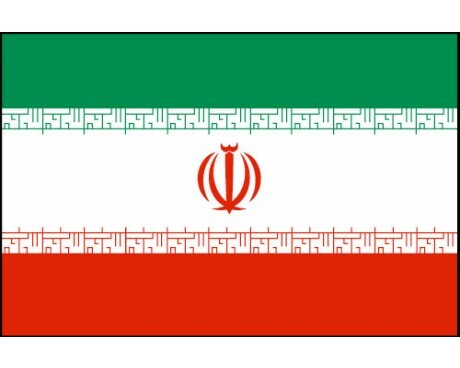 Iran flags have three horizontal stripes of green, white, and red. The white band has a text border in the Kufic script, and it displays the emblem of Iran in its center. The emblem is made up of four crescents that are arranged around a sword in order to resemble a tulip. The shape was chosen to honor the soldiers of Iran in reference to an ancient myth that said that a red tulip will grow on a young soldier's grave. Each of the colors on the flag of Iran also has a symbolic meaning. The green stripe is both a symbol of Islam and the Persian people, who traditionally represented themselves with a flag of green and white. The red band came from the ancient colors of the Medes, and it also represents love, courage, and sophistication. The white band is a symbol of purity that could be found on the ancient flags of both the Persians and the Medes. Iran is descended from the ancient empire of Persia, so the history of the Iranian flag can be traced back to Achaemenid Persians of antiquity. Iran flags of the time featured a golden eagle, but the color of the field remains unknown. The Achaemenid dynasty eventually gave way to the Sassanid dynasty, which used a flag that displayed a star with four points. Flags fell out of use entirely during the period immediately following the Islamic conquest of Iran, but they eventually returned to common use under the later ruling dynasties. Each Iranian dynasty introduced at least one flag to the country, and many rulers chose to change the flag soon after they took the throne. Most of these flags featured a green field with a golden sun and lion in the center, but the details varied significantly from flag to flag. A precursor to the modern flag of Iran came into use in 1906. It featured the same three stripes as the modern flag, but it retained the golden sun and lion from previous flags. 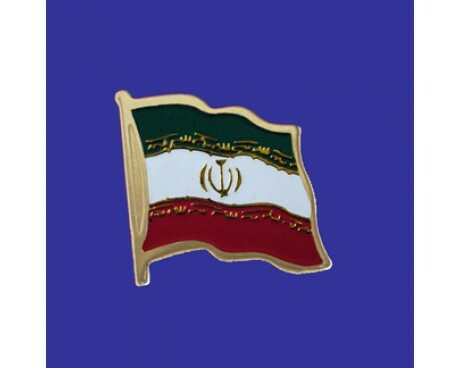 The emblem was replaced to create the modern flag in 1980 following the Iranian Revolution.